Jed Miller, AIA, is a Seattle-based residential architect specializing in custom home remodels and new construction throughout the Puget Sound area. Your life has many facets. Ideally, so should your home. It needs to be pleasing to your senses, comfortable, practical, tailored to your preferences. Lake Sammamish Residence: complete remodel of two-level home to maximize views. Reviews of CASA by clients and colleagues. 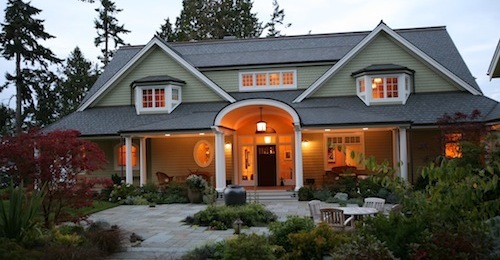 If you don’t already have an ideabook on houzz.com, it’s a great resource to develop your future home projects. Check out the CASA profile there. My associates and I believe that a residential architect does far more than deliver technical solutions. Our primary emphasis is developing a relationship with our clients, who often turn to us for repeat and multiphase projects over many years as their requirements change. We custom design homes to reflect and express the people who live in them. Although every home we create is unique, the architectural process we follow has three constants: service, artistry, and teamwork. To learn more about CASA Architecture and Interior Design, browse our website, or email me — Jed Miller, AIA — directly at jmiller@casa-arch.com. You may also visit my American Institute of Architects profile.